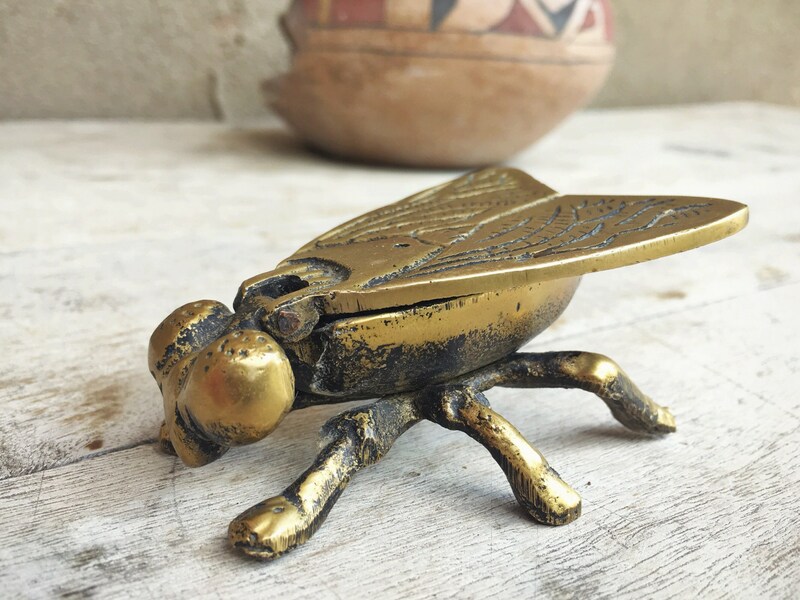 If you grew up in the 1980s, this oversized brass fly is going to evoke memories of Jeff Goldlum and Geena Davis and the movie The Fly. 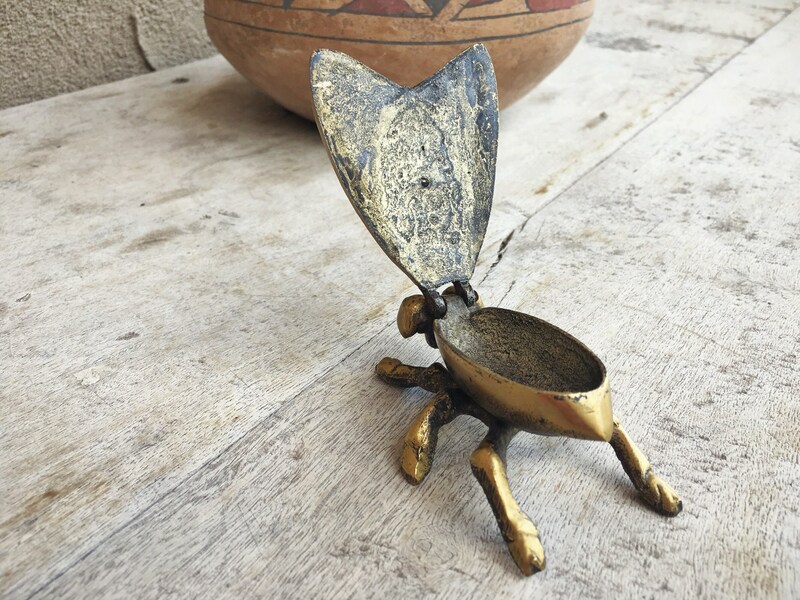 A fabulous piece, the brass fly is actually a small trinket box or ring dish. 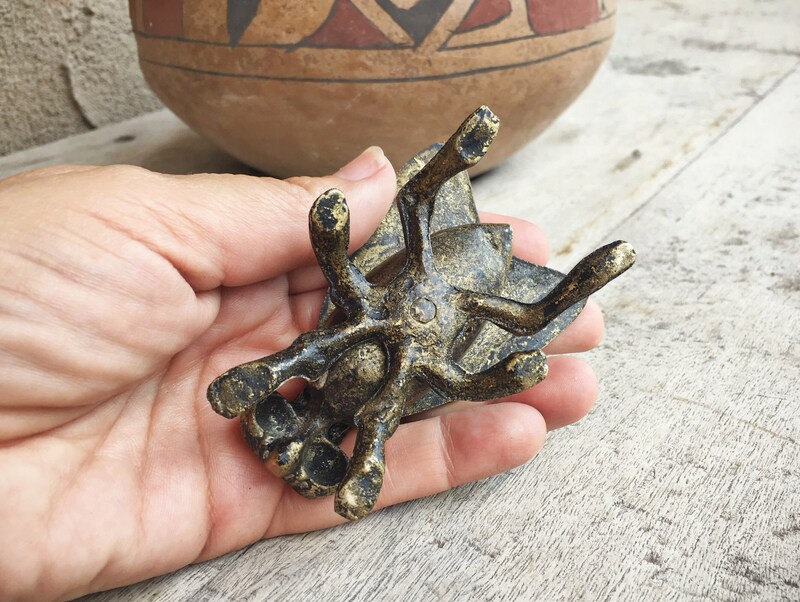 Flip up the top and see a small holder, perfect for tiny treasures. 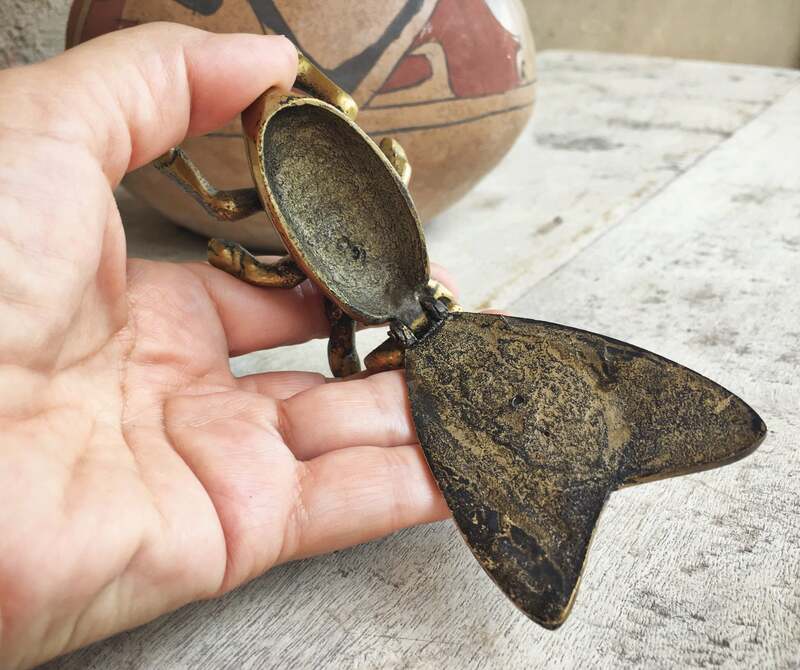 But it is so much more than just a stash box. 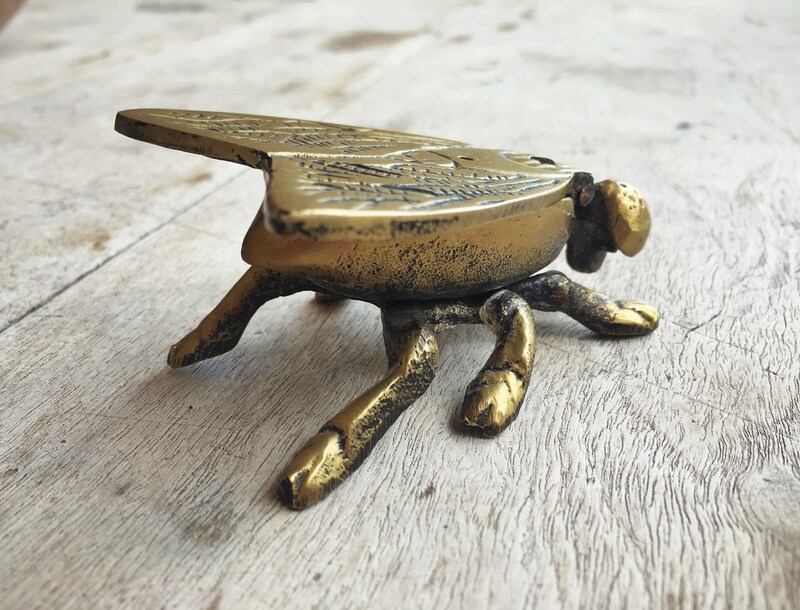 It's a conversation piece, a I'm-not-your-average-household-fly piece, a fabulous gift for anyone who needs a small stash spot, and a gift for the person who loves to be outside in the garden. 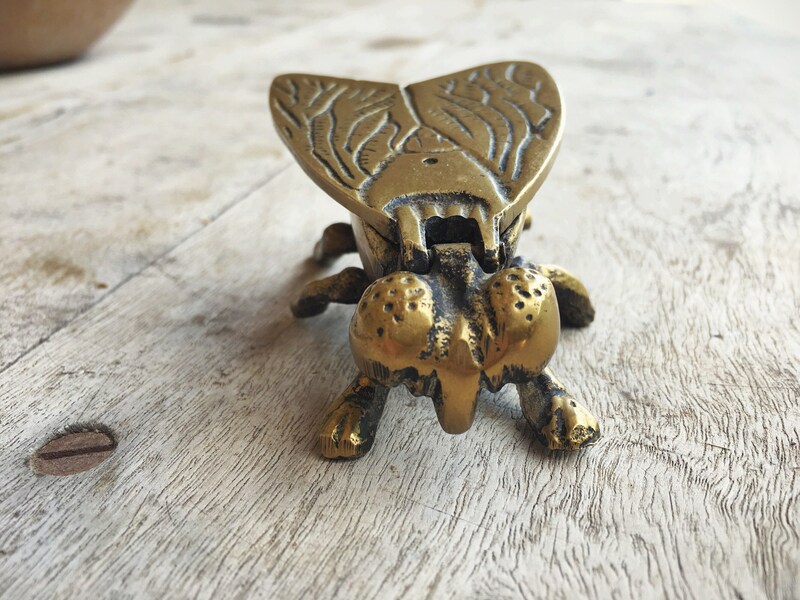 The fly measures about 3-1/4" long by just over 2" at the widest point by 1-1/2" tall. The brass is heavy. 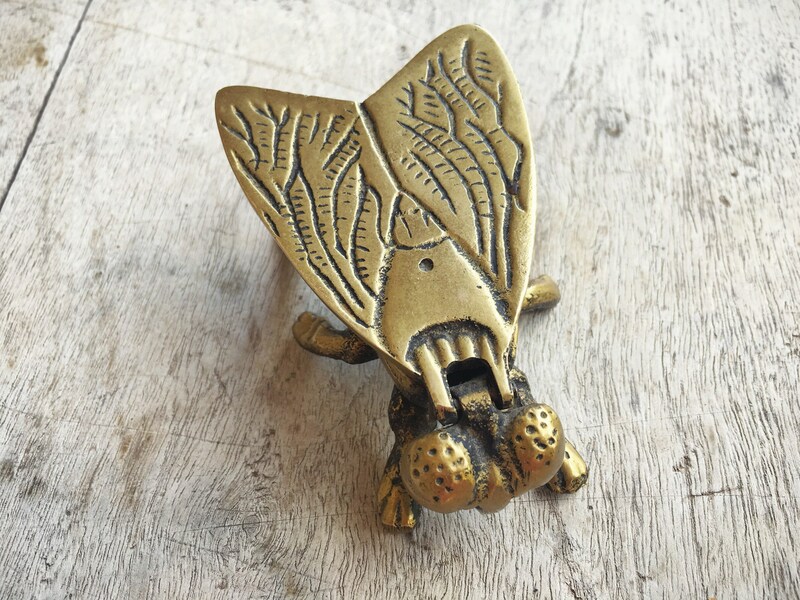 There are no identifying marks that I could find, although I've seen other flies that are this particular look and feel that are said to be Soviet, and others said to be French. I've done only the lightest polishing to enhance the raised areas yet keep the oxidation tarnish in the recesses, for depth and drama. 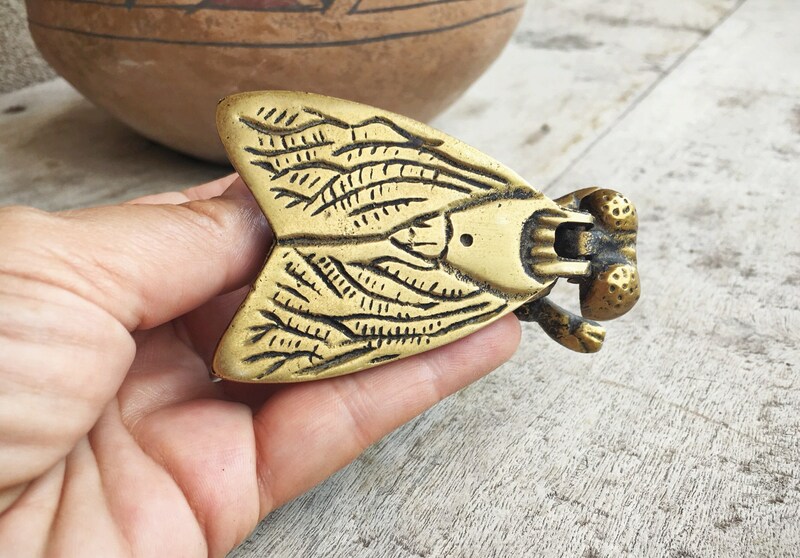 A lovely gift for those fascinated by (or even fearful of) insects...and perfect for Halloween!